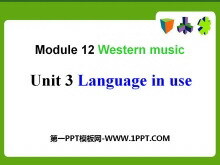 《Language in use》Western music PPT课件2 objectives： 1. 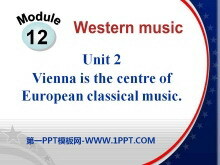 To learn alternative questions withor; 2. 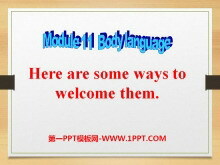 To learn to exclamations withWhat (a/an) ! 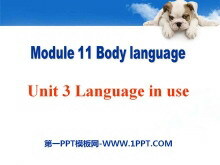 语法讲解建议采用归纳法，如尽可能多的呈现一些相关例句，或可让学生..
《Vienna is the centre of European classical music》Western music PPT课件3 He wrote and played music for a classical dance--a waltz. 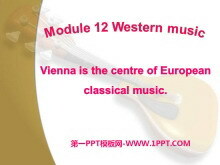 他创作并演奏了古典舞曲-华尔兹。 约翰小施特劳斯甚至比他的父亲更成功和受欢迎。 ..
《Vienna is the centre of European classical music》Western music PPT课件2 比一比，看谁能快速说出下面的单词。 musician n. 乐手；音乐家 centre (Am E center) n.中心 European adj. 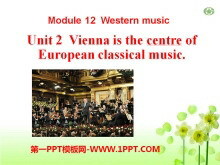 欧洲的 composer n.作曲家 century ..
《Vienna is the centre of European classical music》Western music PPT课件 the river Danube Vienna is a beautiful old city on the river Danube. 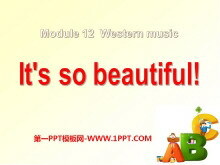 维也纳是多瑙河畔一座美丽而古老的城市。 It's the capital city of Aus..
《It's so beautiful》Western music PPT课件 Words and expressions /l avli/ lively adj. 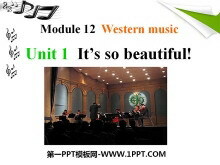 活泼的，轻快地 /m d n/ modern adj. 现代的 /n zi/ noisy adj. 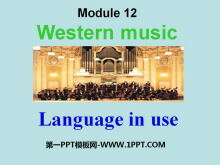 吵闹的 /pp/ pop adj. 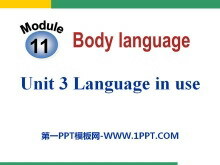 流行的，受欢迎的 /rk/ rock n. 摇滚乐；石..
《Language in use》Body language PPT课件2 objective To learn to use Imperatives to express your attitude 语法讲解建议采用归纳法，如尽可能多的呈现一些相关例句，或可让学生从已学课文中找相应例句，引导学生试着从..
《Language in use》Body language PPT课件 Language practice Give them more personal space. Wave to say goodbye. Be careful! Dont stand too close to North Americans. 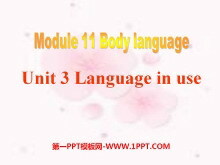 祈使句小结 1.定义：用于表达命令、请求、劝告、..